This recipe has been in my family for years. I learned to make this from my Mom. Each Christmas my parents hosted their infamous Christmas Open House. 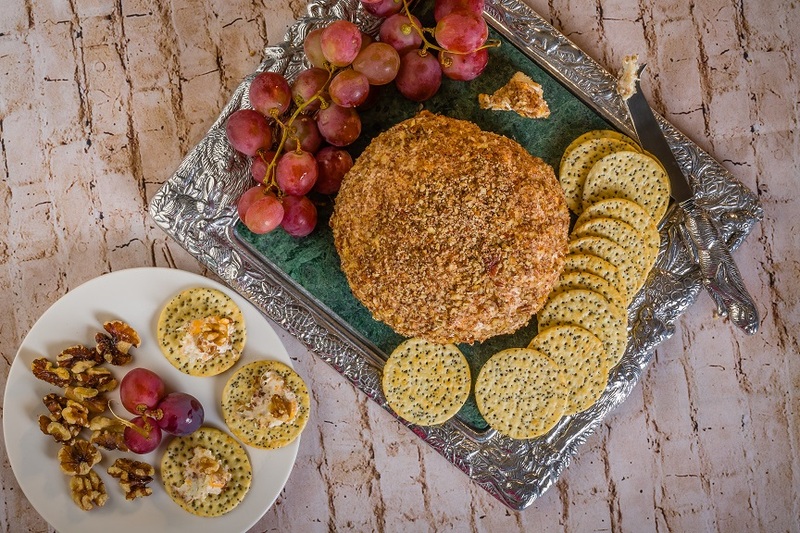 This cheese ball was always one of the constants on the menu each year. When I moved out on my own and began hosting my own parties, I kept this recipe handy and always prepared it. Over the years, as mine and Wayne’s love for wine has developed, we discovered this was a lovely, and easy, hors d’oeuvre to make when we have friends over. Occasionally I have swapped out one of the cheeses for something different but I have to say, I always go back to the original recipe. Cheers and I hope you enjoy it! Let cheeses sit at room temperature for 2 hours to soften. Combine all ingredients, except nuts, in a bowl. Mix well. Shape into ball, roll in nuts. Cover with wax paper and chill until firm.